Based on 210 customer ratings. No trip to Pilsen is complete without stopping by Giordano’s. Eat a meal in our dining room featuring a full bar, or you can place an order for pickup or delivery. Handcrafted technique. Pie-like pizza crust. Mozzarella made just for us, and the freshest, most flavorful toppings. 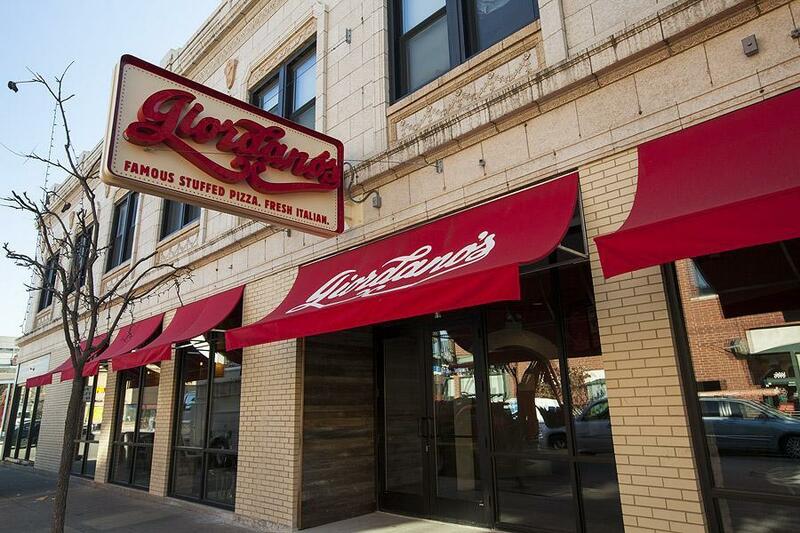 When it comes to ordering from the best pizza place in Chicago, only Giordano’s delivers 40 years of cherished heritage right to your Pilsen door! You’ll smell the difference as soon as you open the box and savor every irresistible bite. Order takeout or delivery and enjoy the best Chicago-style pizza experience right in your Pilsen home! The Giordano’s Experience Giordano’s is more than just mouthwateringly delicious Italian Easter pie. We’re an experience to be cherished, and we’re one of the few pizza places that can call itself a pioneer of world-famous Chicago-style pizza. Order from our Pilsen location and you’ll see why — it takes 6 trained craftsmen to construct each pie! With the flakiest, pie-like crust, the freshest local toppings and cheese made just for us, every slow-baked Giordano’s pie is a taste experience you’ll remember. Check out our full menu and make a night of it with our hearty sandwiches, savory appetizers and fresh, healthy salads. If you’re gluten-free, let us know — you’ll find numerous options on our menu to enjoy! Come to pizza heaven. Come to Giordano’s!